Three wildlife themed garden displays created by TV gardener David Domoney will be central to Everest Home Improvements’ presence at this year’s RHS Hampton Court Palace Flower Show. Located alongside the RHS Celebrity Theatre, the charities have been nominated by BBC’s Springwatch presenters Chris Packham, Michaela Strachan and Martin Hughes-Games. Each of the display front gardens has been designed by David Domoney as an interpretation of the nominated charity. The Bat Conservation Trust garden, nominated by Chris Packham, includes plants and features that would encourage bats into the garden, and the elements within the British Trust for Ornithology garden, nominated by Martin Hughes-Games, would provide a haven for birdlife. Meanwhile, the Save the Orangutan garden, nominated by Michaela Strachan, will include exotic plants to create a tropical theme. Visitors will have an opportunity to vote for their favourite front garden, with donations from Everest being presented after the event, depending on the number of visitor votes each collects. The charity that receives the most votes will receive £4,000, with a £2,000 donation for each of the runners-up. Everest is again supporting the RHS Celebrity Theatre at the show, where TV personalities including the three Springwatch presenters, David Domoney and Charlie Dimmock, among others, will be speaking about their passion for gardening, wildlife and nature, as well as providing tips and expert advice. With hourly sessions throughout the six-day event, the RHS Celebrity Theatre is sure to be a big attraction for visitors. Beside the RHS Celebrity Theatre and three wildlife themed front garden displays will be a fourth display where a very special Garden Room will be showcased. Although not yet available, the Garden Room is a stunning and useful space that Everest is considering adding to its range. Featuring Everest’s energy efficient windows and doors, along with in-built heating options, the insulated Garden Room would be usable and comfortable all year round. Everest will be asking visitors to share their feedback on the features and layout, with the information provided helping to determine the final Garden Room design. Everyone who completes the survey will be entered into a prize draw to win £50 of garden vouchers. Everest will also be showcasing a range of products on a hygge themed stand adjacent to the RHS Celebrity Theatre. ‘Hygge’ is a Danish concept comprising contentment and cosiness, with the key elements that generate ‘home hygge’ including security, warmth, aesthetics and the environment. Everest’s stand will highlight some of ways in which homeowners can improve their home hygge, including eye-catching and energy efficient windows and doors, double and triple glazing, and Everest’s revolutionary new ‘GrabLock’ locking mechanism, developed with Yale, which is taking home security to a whole new level. Everest representatives will be on hand to chat about home hygge and complimentary copies of a new book, A Very British Hygge, will be available from the stand. 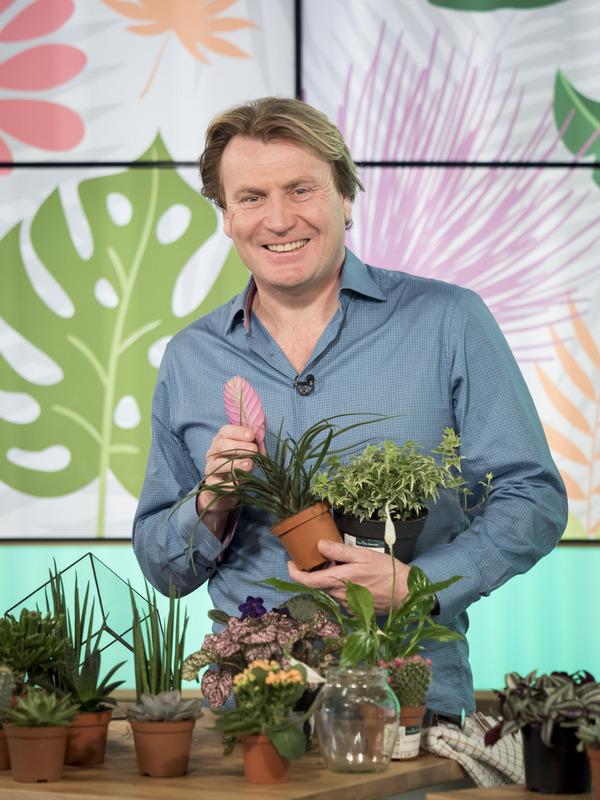 David Domoney is a Chartered Horticulturalist and seasoned gardening television presenter and currently presents for ITV’s ‘Love your Garden’ and is also the resident gardening presenter for ITV’s ‘This Morning’. David writes a gardening column for every issue for The Sunday Mirror and for Grow Your Own magazine. He is a winner of 30 RHS Medals with two Best In Show category trophies and is a Governor at the London Colleges of Horticulture. David’s national campaign ‘Cultivation Street’ is now in its 5th year supporting hundreds of community gardening projects and school gardens up and down the country, and he is the Gardening Ambassador for the charity THRIVE. You can follow David on Facebook @DavidDomoneyTV, Twitter @daviddomoney, Instagram, YouTube, and Pinterest, where he has a combined audience of over a quarter of a million followers. This press release was distributed by ResponseSource Press Release Wire on behalf of Everest Home Improvements in the following categories: Leisure & Hobbies, Home & Garden, Environment & Nature, for more information visit https://pressreleasewire.responsesource.com/about.